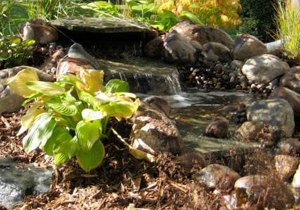 Ponds and water features can add a whole new dimension to your outdoor room. 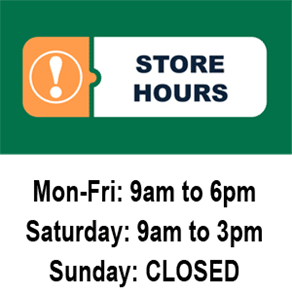 They add natural sound and movement that help to relax. 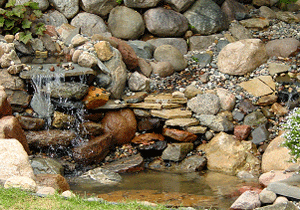 A water feature can be as large, small, simple, or complex as you want. 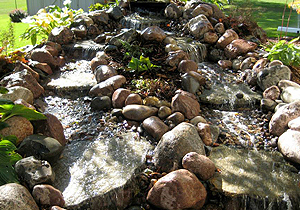 They range in size from a large pond to a small fountain, each with its own maintenance needs. 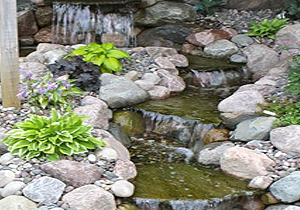 There’s simply nothing quite like a well thought out and installed pond or waterfall to create a peaceful and serene atmosphere for outdoor family living. 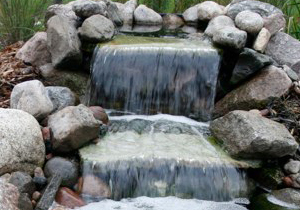 The sound is calming and the water cools the area around it. 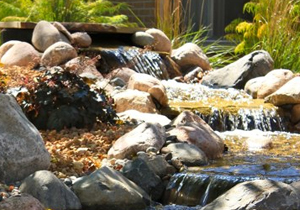 Whether you want something formal, or natural, your water feature will provide a visual focal point for all to enjoy! 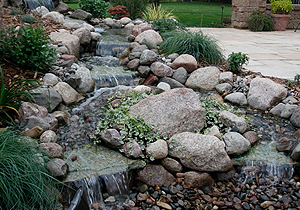 Here are some example landscape designs that incorporate water. 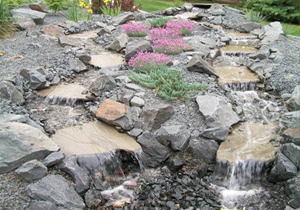 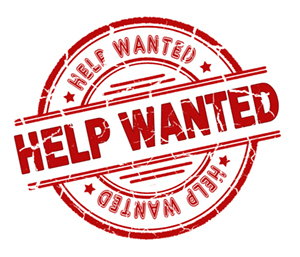 We work with a variety of materials – hardscapes, plantings, water features, and more. 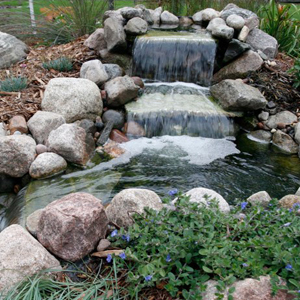 We can incorporate water falls, ponds, streams, and pretty much anything else you can dream up!